The Top Five Web Apps I Use the Most — What Are Yours? The more I work on the computer, the more I realize that Google is probably right about the Cloud being our future. In fact, other than Photoshop and friends, the occasional game, and the desktop version of Evernote, I pretty much live in Web App Land. Outside of the obvious like Facebook, Twitter (plus related apps), and Gmail, there are approximately 30 web apps that I use or visit on a semi-regular basis — and that’s not including the Chrome extensions that are direct links to yet other web apps. Okay, so I’m actually cheating a little bit and making my first web app a combination of three. If you’ve read 40Tech before, and especially if you’ve read me, you already know that these three apps are a huge part of my personal productivity system. I had to include them in my list, but I didn’t want them to take up more than half of it! Besides, all three are practically indispensable to me: Evernote for writing and quick ideas, Springpad for bookmarking and research, and Producteev for GTD task management and overall organization. I could do (and have done) all of those things with each one of those apps, but decided to play to their strengths and combine them for the best results. This is another app I’ve covered before. Feedly is probably the best RSS/Google Reader client that I have ever used. The visual presentation of all of my feeds in a magazine format that learns what I like is utterly fantastic. I love it! I don’t get a lot of time to watch TV or movies, but when I do sneak some in, I usually wind up on Netflix. The streaming movie and TV show catalogue is not nearly as well-stocked up here in Canada, but there is still a lot of great content, especially for $8/month. Since Mint.com merged with Intuit and finally started offering its finance management awesome in Canada, it has lived in my browser. There’s still a lot of work I need to do with it to get the most out of the array of tools and resources it offers, but Mint is definitely a web app that is here to stay for me. Dropbox is my main cloud storage service. I also use SugarSync, Box.net, iDrive Backup, MiMedia, and a few others, but Dropbox is the most developed — or at least the most supported by other services. I use it to backup files, to get them on to my iPhone and iPad easily, and to share files with friends, family, and business colleagues. That’s hard to beat. There are, as I mentioned, a multitude of other apps that I use, and there are even a few that are threatening the hold of some of my current list. I’ll be reviewing those few soon, so stay tuned! Now it’s your turn: what are your top five web apps? Producteev won me over a while back with the smooth way they integrate into your already established workflow. The pretty helped too — pretty is a necessity for me when looking at a task list — but it was the Google Calendar integration, and the ability to interact with and create tasks from email, IM, and more that clinched it for me. As a Gmail user, I have access to a nifty widget, and Google Apps users get even tighter integration. Enough about me and my Google services, though! We’re here to talk about you — and did you know that Producteev has just launched an Outlook plugin that let’s you single-click emails directly to tasks? And that’s not all… they’ve also announced a two-way sync with Google Tasks, and have some native apps on the way! You like? Read on for details! Outlook is powerful software, but it lacks mobility, which is a tough thing when you use it as your main task manager in this day and age. 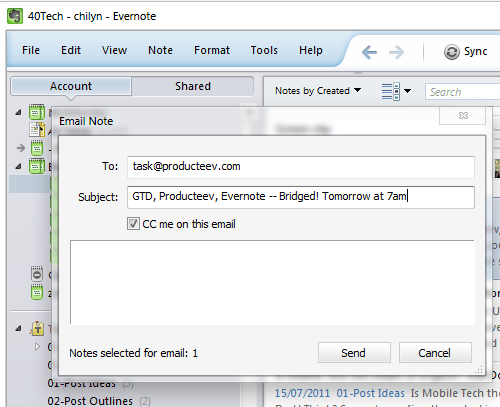 Producteev makes Outlook tasks portable by allowing you to take them to the cloud by way of a tightly integrated Outlook plugin. With the plugin, you can add emails to tasks in Producteev with a single click of the flag button, and with the integrated Producteev tab, you can assign it to others, add priority stars, etc. The plugin only allows you to sync with one workspace at a time, but you can choose for the sync to be two-way, Outlook to Producteev, or Producteev to Outlook only, and you can change workspaces right from Outlook, as well. Here’s a link to the Producteev Outlook plugin screencast. I was honestly under the impression that people cared about Google Tasks about as much as they do about Buzz, Wave and Sidewiki. Or Orkut. Apparently, I was gravely mistaken, as Google is invested enough in Tasks that they went through the trouble of launching a Tasks API at Google I/O this month. 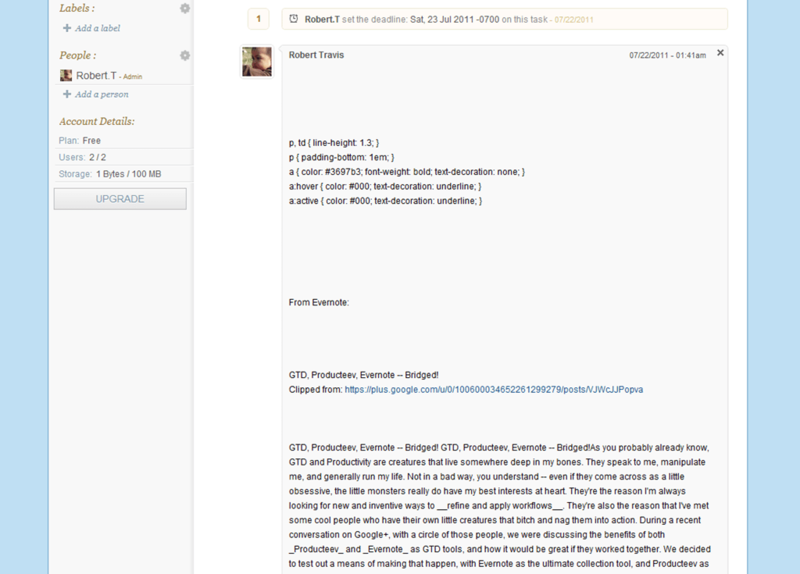 Producteev was right there with them, and has created a two-way revolving door with the in-Gmail task manager. It’s a pretty cool integration, actually. It allows you to create tasks in Google and have them sync to your Producteev workspace where they will have their own label (the list’s name) automatically assigned. It also works the other way, bringing your workspace’s tasks into Google where you can quickly check on them and interact with them without leaving your email. Yayy efficiency! I advise you to be careful when using Google Tasks sync, however. It is, at this point, only designed to handle a connection from one Producteev workspace. If you use several workspaces concurrently, like I do in my Producteeev GTD setup, and you, say, I don’t know… connect them all… at once — well, let’s just say you will end up with an ever-growing and duplicating list of tasks as the workspaces sync them, and then re-sync them, one after the other, after the other, after the other. *grins* Thankfully, they all show up under one label and so were easy to delete. If you do use multiple workspaces in your productivity setup, I recommend using only your most important workspace in Google Tasks sync. You could also use it for a priority tasks list, or to keep your Projects workspace handy at a glance. Producteev hasn’t forgotten about the users out there who prefer native apps. They have had them in the works for some time now, and that awesome little tree is about to bear its fruit. 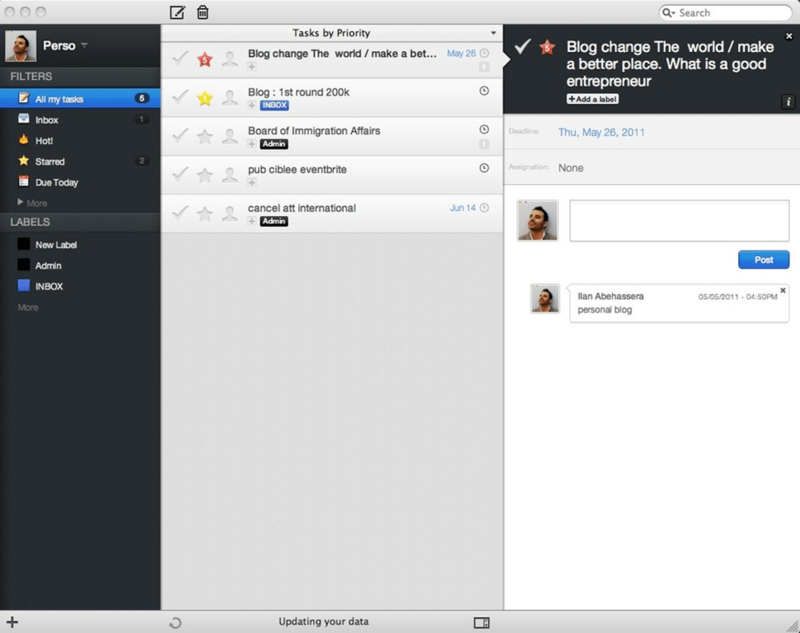 A Mac app is due to hit the mainstream by the end of this month, and Windows will get a native app in mid-June. That’s straight out of the mouth (well… email) of Producteev founder Ilan Abehassera, so doubt me at your peril! Ilan also said that a fancy new Android app will be available in early June, as well. 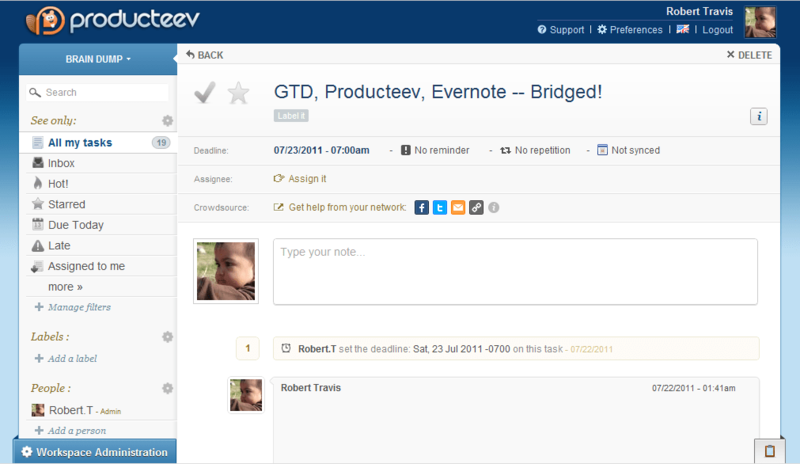 What do you think of Producteev’s new integrations?